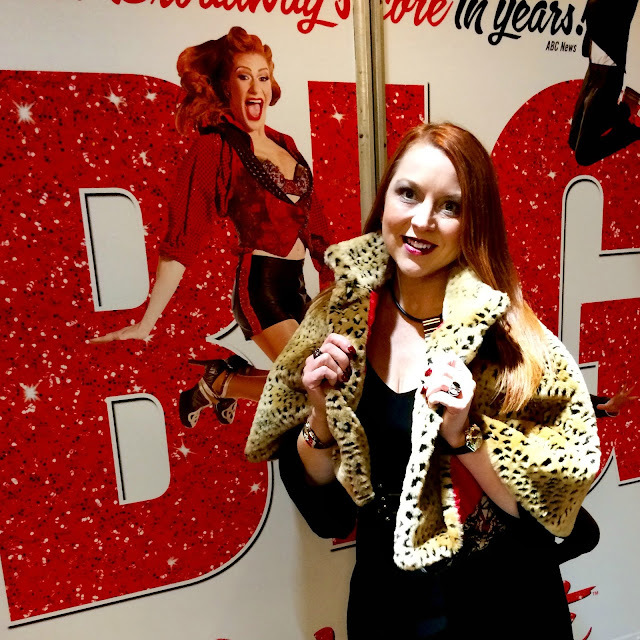 From a Christmas Eve church service in the heart of the Circle City to a Zombie Burlesque show in Times Square, this little leopard capelet has been on several adventures with me in the past two years. It's soft; it's warm; it's easy to pack; and it has a to die for red satin lining. The best part? I acquired it at the inaugural Style Swap Indy, which means the cape itself cost me nothing, and my $20 ticket to the Indianapolis Star's fashionista-friendly fundraiser benefited local kids through the Star's Our Children campaign. Why should you care about a shopping fundraiser I attended two years ago? Because it's happening again! 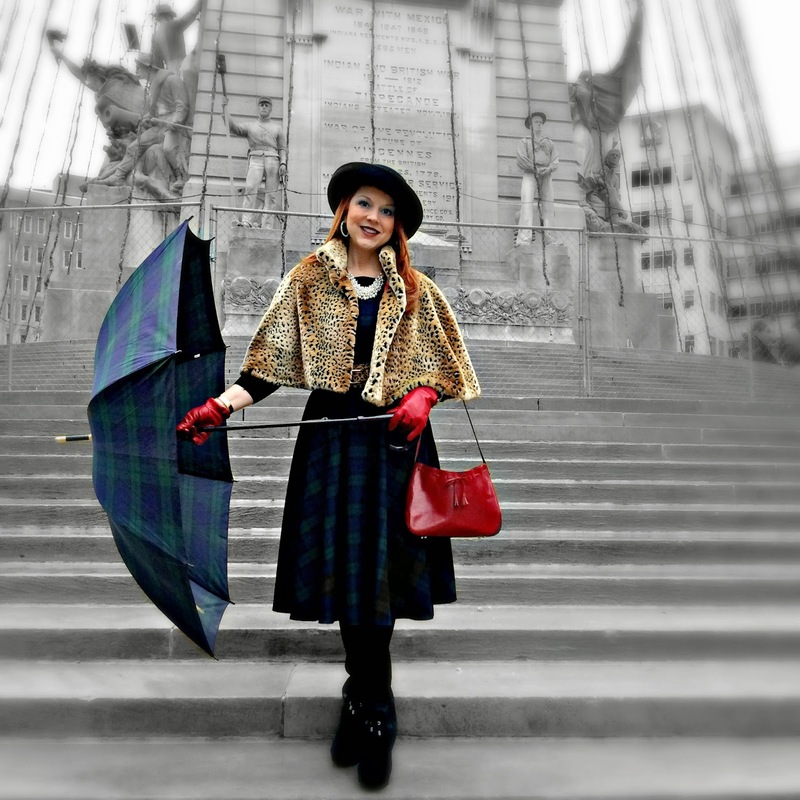 The Third Annual Style Swap Indy takes place just one week from today, on October 22nd, from 6 to 9 pm at the Omni Severin Hotel. If you're in Central Indiana, I don't want you to miss your chance to be part of it! ...to Broadway and a midnight Zombie Burlesque show last week in Times Square! Style Swap Indy, as the name alludes, is an opportunity to exchange a few of your gently worn but still stylish clothes or accessories for those in someone else's wardrobe. Come on ladies... we all have items in our closet that no longer get the love they deserve: maybe they no longer fit or flatter us the way they did when we brought them home; maybe a career move necessitated a new look; maybe we're just ready to recycle and move onto something new. 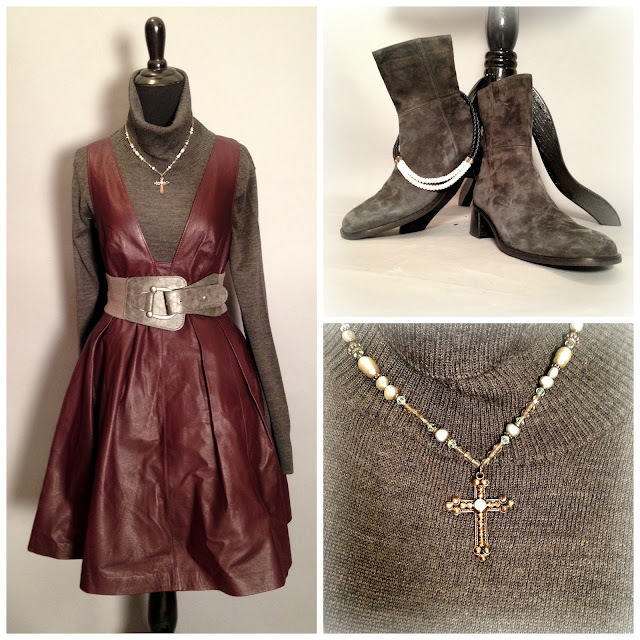 Whatever the reason, Style Swap Indy is the perfect opportunity to trade those items for something new to you! The Star's Amanda Kingsbury provides all the details in her recent article, so I won't rehash everything here. But, I will mention that if you buy your ticket by 5 p.m. TODAY, you'll be entered to win a stunning pair of sterling silver Ippolita drop earrings from Reis-Nichols. I'm also excited for year's event because one of my favorite local boutiques, Enza's, is donating several brand new pieces for the cause; and my favorite local Popcorn twins will be serving up goodies from Just Pop In! Style Swap is a parTAY, with DJ Gabby Love spinning tunes while we shop, nosh, and sip on a complimentary beverage or two. I've already selected a few of my own choice pieces to share this year, including a marsala leather jumper from Asos that still has the tags on it (and you know marsala is this year's Pantone Color of the Year); a buttery soft pair of charcoal suede Coach boots that have never been worn outdoors; a braided leather and freshwater pearl necklace from Ross-Simons; and a sterling silver and freshwater pearl cross necklace (all of which are featured below). I hope these pieces get new life and a chance to shine on whoever takes them home. As for the leopard capelet... well, let's just say I've decided it still has a few adventures with Red's Shoe Diaries left in it.